High Returns. Low Fees. Impressive Support. What if you could open a business with low start-up costs, a winning formula, and incredible ROI? With Sano Steam, you can! Franchise with Sano Steam Sano Steam is a low-cost, high ROI franchise opportunity. We focus on building great teams and implementing solid and proven business systems to drive growth in our many revenue streams. Sano Steam is a veteran owned and operated company. Owners Chayse Roth and Joe Alig have a keen sense of patriotism, professionalism, and mission accomplishment. Satisfying customers is our goal, and we strive for reliability, customer satisfaction, and timeliness. We help you market your products to the wide number of clients out there that need them! Comprehensive manuals, training programs, and assistance with management and operations. Receive thorough training from professional teams, as well as the franchisor. Benefit from the strength and stability of a 29-year-old business with the agility of an upstart. We focus on implementing solid and proven business plans with unlimited growth potential. With minimal startup costs, you'll see a higher ROI than the average franchise option. 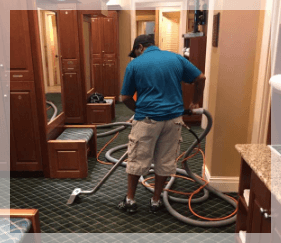 Sano Steam was founded in Wilmington, NC in 1989, and ever since, we have been leaning and restoring a wide range of surfaces in not just homes, but businesses, too. 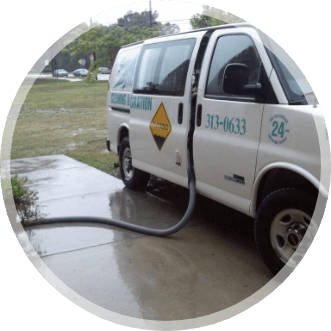 The cleaning process that we employ are proven and effective. We don’t use harmful chemicals and dangerous equipment. Our team knows which are the best and the safest products and solutions and we use them in just the right amount to provide you the comfort you had been looking for. Joseph Alig is a former active duty Marine Pilot and current Marine Reserve Pilot. Joe has served his country for over 15 years in many places around the world. He is currently an MBA candidate at UNCW. Having transitioned to civilian life themselves, they both understand the difficulties it presents. The founders believe that veterans have great potential to be excellent business owners and have a strong desire to see veterans succeed after their service to our nation. Request More Franchising Info Send us a message and we will provide you with the information you need to start your new business!